The Daily Mail and General Trust announced today that the sale of its regional arm, Northcliffe Newspapers, which was expected to raise £1.5 billion, is off. DMGT said it would retain the papers and had identified “further savings” that could be made within the group. The DMGT board said it had received three “substantial offers” to buy Northcliffe and other proposals to buy specific titles. 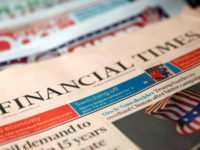 Among the favourites to buy the group had been the US publisher Gannett, which owns Newsquest in the U.K.
Northcliffe said the offers “Reflected the recent downturn in trading in the regional newspaper sector caused by the weakening of the broader UK economy. In the view of the board, the offers did not fully reflect the long-term value of the business. "Consequently, the board has decided to retain Northcliffe. It firmly believes that Northcliffe has valuable long-term franchises which will continue to play a vital role in their local communities." The company said a strategic review of the Northcliffe division meant it had identified "further significant cost and revenue opportunities" in the group. The decision to put Northcliffe on the market last December was a shock for the regional industry. Northcliffe makes profits of £100 million a year and has been owned by the Daily Mail for more than 70 years. 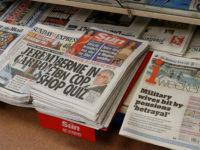 One regional insider described the Northcliffe titles, which include the Bristol Evening Post, Leicester Mercury and Press and Journal, Aberdeen, as the “crown jewels” of the regional newspaper sector. “From day one we said we were not necessarily going to sell this business, no-one believed us but that was the truth. We went into this saying we have to get better returns out of this business for our shareholders one way or another. Some bids were for parts of Northcliffe rather than for the whole company. Williams said that he could not “rule out” that parts of Northcliffe could still be sold. “We said we only wanted offers for the whole business we have said we received offers for part of it. If there are individual parts of it that other people value more highly than us then we have an obligation to consider those offers. He confirmed that the company’s Aim Higher cost saving programme would continue. Some observers believe that a complicating factor for any bidder was that Northcliffe still has a final salary pension scheme. Media analysts believe Northcliffe felt the price tag offered didn’t reflect the cost savings already made by the company through Aim Higher.  One who spoke to Press Gazette said that a lot of work was done with prospective bidders and that while doing this — Northcliffe may well have discovered further cost savings which it believes make the company worth hanging on to. 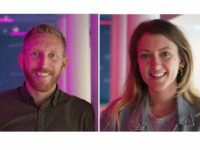 One expert told Press Gazette: "It is probably disappointing for them because they were looking to develop the business or exit it. The took the decision to sell after finding that the opportunities to expand the business weren’t offering the sort of value they were looking for." NUJ national organiser Barry Fitzpatrick said: “I think it’s deplorable that Northcliffe has created such uncertainty amongst the staff. “They picked the worst possible time to dispose of the company given the conditions in the market at the moment and probably overpriced it. They have also done it in a way that is unsettling for everybody and have also shown a complete disregard for the loyalty of their own regional readers. One Northcliffe journalist said: “There’s a mixture of reaction from journalists some feel better the devil you know but a lot of people think that we’d rather be owned by a company that really wanted us. DMGT had decided it didn’t want to continue investing in regional newspapers. 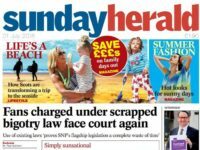 “A statement said that a ‘restructured Northcliffe is of greater value to shareholders’ so I think we can look forward to more heavy duty restructuring so that’s probably more cost cutting more redundancies and we would say more serious implications for the editorial quality of the papers that Northcliffe produce."